Whenever I travel, I like to bring along a bunch of snacks and sometimes that includes vegan jerky because it travels well. 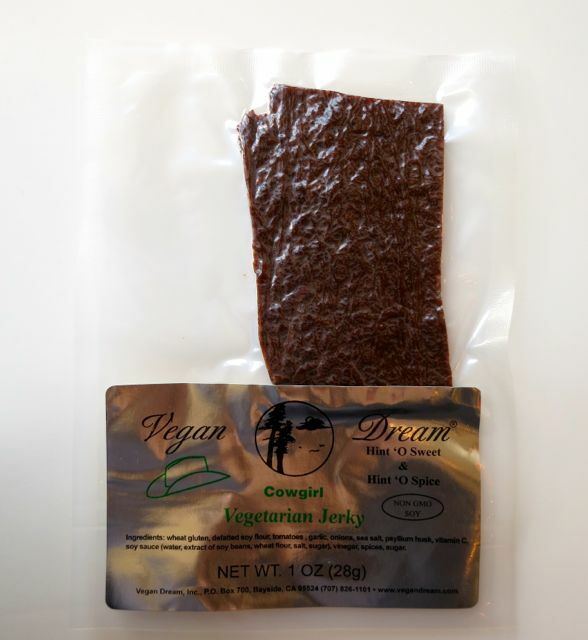 Now before you balk at vegan jerky, don't knock it until you've tried it. I've been eating the same brand for several years so when one of my readers suggested I try Vegan Dream-brand jerky, I jumped at the chance. 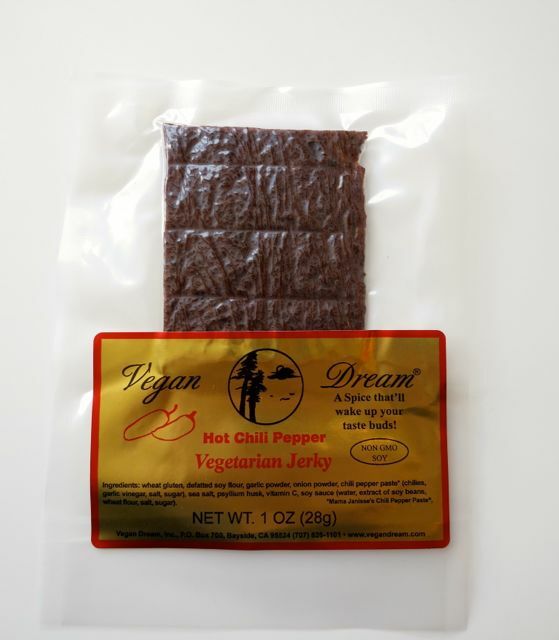 Vegan Dream has been in business since 1997, yet I've never heard of them! This means the founder was surely one of the innovators of vegan jerky as there aren't that many brands on the shelf today, but there were even fewer 15 years ago! Their jerky is more like a traditional jerky that is not as chewy as other commercial brands. When you bite into them, you have to rip each piece off with your mouth to separate it and you can really taste the intricate spices. 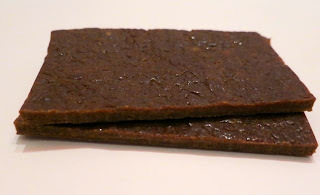 If you are into a drier, more traditional jerky, you will like this one. There are currently four flavors. 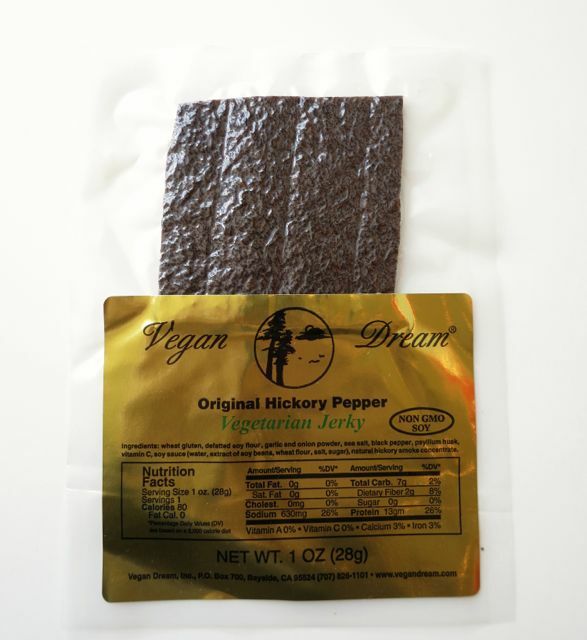 I'd say the Original Hickory Pepper was my favorite -- it had just the right amount of hickory flavor. I also enjoyed the Cowgirl -- a tomato base with a hint of sweetness and a hint of spice. Other flavors include the Hot Chili Pepper and Teriyaki. 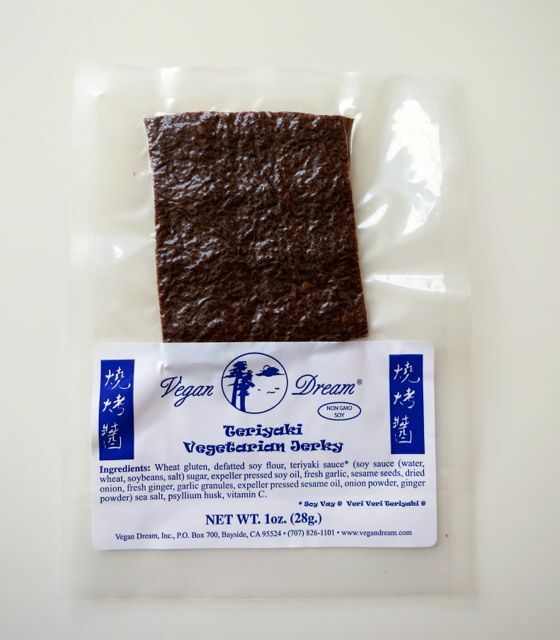 This jerky's base is wheat gluten and defatted soy flour along with spices. They are labeled as Non-GMO Soy though they do not carry the official Non-GMO Project Verified label. If you are interested in trying them, you can find them in about twenty stores from Fort Bragg to Trinidad in California or online here. A 6-pack retails for just $13.50.